This entry was posted on Wednesday, August 13th, 2014 at 5:55 am and is filed under Uncategorized. You can follow any responses to this entry through the RSS 2.0 feed. You can leave a response, or trackback from your own site. Seriously, there’s not enough time. but I blame sleep. I’m finally getting enough sleep but now i have no free time.. i haven’t played videogames in months, it’s weird.. of course i can’t afford new consoles anyway. 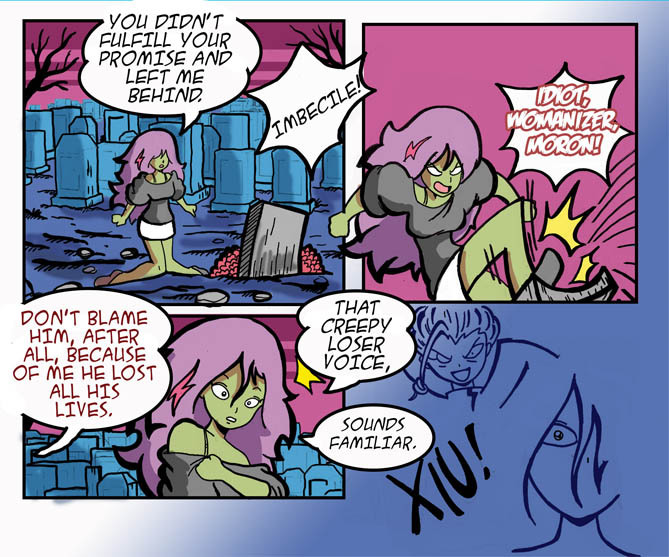 If I remember right, she first met Xiu in a cemetery.